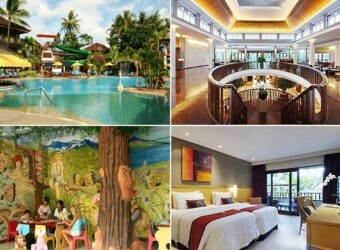 Bali Hotel The hotel has emphasis on an institution for children such as Kids swimming pools. Bali Dynasty Resort offers facilities and the service that are same as four-star hotel. They prepare housekeeping, a hair dryer, television, Cable Television, an air-conditioner, daily news paper, a mini bar, coffee tea in all guest rooms.